D23 EXPO 2015 will feature the biggest Star Wars™ and Disney video games in a special presentation in the signature 7,500-seat Hall D23 theater and in Disney Interactive's pavilion on the show floor. In the Hall D23 presentation on Sunday, August 16 at 11 a.m., fans won't want to miss never-before-seen gameplay, trailers, new reveals and surprises from Disney Interactive's most anticipated games. Among the games participating in the presentation are: Disney Infinity 3.0 Edition, Star Wars™ Battlefront™ from Electronic Arts and KINGDOM HEARTS III from Square Enix. Disney Interactive will showcase more Star Wars characters and Play Sets new toDisney Infinity 3.0 Edition and provide the entire audience with limited-edition giveaways exclusively for Hall D23. Electronic Arts will give guests an in-depth look at Star Wars Battlefront, the authentic Star Wars gaming experience coming November 17. Square Enix will also bring special guests and surprises to Hall D23 to reveal new information from KINGDOM HEARTS III. ● Players will join forces with Star Wars, Marvel, Disney and Disney•Pixar characters in Disney Infinity 3.0 Edition, the next chapter in the best-selling "hybrid toy / video game" series. Guests will have the chance to play some of the new Disney Infinity Play Sets, Star Wars™ Twilight of the Republic, Star Wars™ Rise Against the Empire and Disney•Pixar's Inside Out, and the fully enhanced Toy Box mode. Pavilion guests will also be able to visit the "Only in the Toy Box" Experience. Using a new augmented reality technology, fans can step into a virtual Toy Box environment and interact alongside their favorite Disney, Disney•Pixar, Marvel and Star Wars characters found inside Disney Infinity. Disney Infinity will also be giving away thousands of pre-release Disney Infinity 3.0 Edition figures featuring popular characters from across The Walt Disney Company (while supplies last). ● Pavilion guests will also be able to live out some of their Star Wars battle fantasies by going hands-on with Star Wars Battlefront. ● Fans can experience the latest arcade sensation from Disney Interactive, Lucasfilm and BANDAI NAMCO Entertainment, Star Wars™: Battle Pod™. Featuring cutting-edge, arcade-style video gameplay, Star Wars: Battle Pod brings players right into the action with a totally unique experience featuring a dome-shaped screen, air jets, and rumble seat. ● In the pavilion's game lounge, fans can take a break from the show floor and try out the hottest mobile games including Star Wars: Commander, Frozen Free Fall and LINE: Disney Tsum Tsum. Disney Interactive is the digital entertainment part of The Walt Disney Company. As one of the world's largest creators of high-quality digital experiences, Disney Interactive produces interactive entertainment for the whole family including multi-platform video games, online short form video, mobile and social games and digital destinations across all current and emerging media platforms. Entertaining guests of all ages, Disney Interactive's key products include the video game platform Disney Infinity, top virtual world for kids Club Penguin, popular mobile franchises like Frozen Free Fall and LINE: Disney Tsum Tsum, top online destinations for kids, parents and fans including Disney.com, Oh My Disney, and Babble.com and the Disney social network reaching more than 1.5 billion guests on Facebook. The name "D23" pays homage to the exciting journey that began in 1923 when Walt Disney opened his first studio in Hollywood. 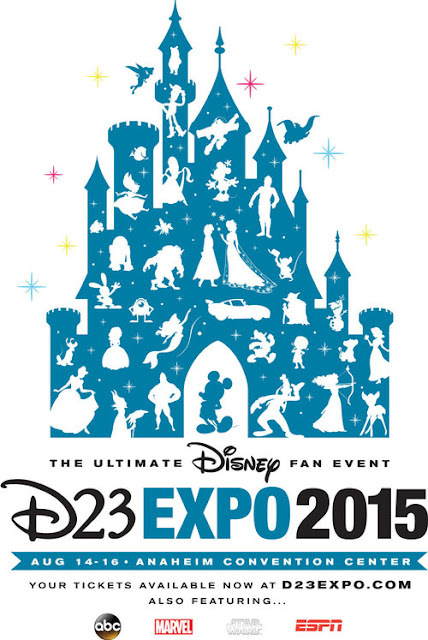 D23 is the first official club for fans in Disney's 90-plus-year history. It gives its members a greater connection to the entire world of Disney by placing them in the middle of the magic through its quarterly publication, Disney twenty-three; a rich website at D23.com with members-only content; member-exclusive discounts; and special events for D23 Members throughout the year.